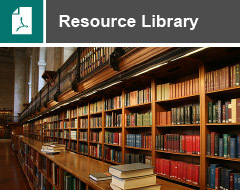 You are here: Home / Resource Library / Got a minute? “Yes, of course . . “, is the usually anticipated and almost automatic response when someone comes by with a query, a problem or a story introduced by that question. And why not? A refusal might be seen as inconsiderate, or result in missing some vital or titillating information. Why not? Because to do so is often a small sign of bigger problems. Reacting to this kind of everyday stimulus automatically, either from FOMO (fear of missing out ) or anxiety about how others might view us, is an indication of inept self-management practices. In a paper exercise given participants in preparation for the Hear & Be Heard programme, I ask for their “best communication” response to this situation: A neighbour unexpectedly calls at your home for no reason other than to pass the time of day. Although you have nothing pressing to attend to, after some minutes you realise that today you’d rather not spend time in this way, so you say . . . Setting reasonable limits and holding boundaries with other people call for a facility with conflict resolution practices, which in turn require a high level of attitude management skill. [*] Most people claim that when the time comes (When it’s really important), they’ll demonstrate that ability. But competency in this area is most called-for when it’s most difficult, and here’s the thing: what we do then is most likely to closely resemble what we do under other, ordinary everyday circumstances. Skill means practised ability. It might take only one minute but it could take much longer. Unless we have unlimited spare time, once we’re involved and allow our fear of upsetting people to unhelpfully suppress and neglect our own needs, bailing-out can be difficult. Guilt and/or resentment complicate matters. We end up giving emotional gifts we can’t really afford. I’d like to help but I have another priority right now. First, tell me briefly what it’s about. Realistically, how much time do you need? I have five minutes (or three or 15 or 20). Will that do for now? No, I’m not available now but I’ll have 15 minutes at . . . These allow us to consider adjusting our priorities to take account of other people’s and encourage greater self-responsibility on their part. They’re simple techniques but not easy to apply if we’ve habitually yielded unquestioningly to approaches of the Got a minute . . ? or You busy . . ? kind. Acquiring a new habit takes discipline and continual practice. When we want Just a minute . . . I want to discuss X . . . with you in order to Y . . . Can you give me half an hour for this some time today? I’m working on X . . and need to involve you in the Z part of it . . . It should take about 20 minutes. When will that be convenient? How soon can you give 45 minutes (or 10 or 15) for some help with the financial implications of my current project proposal? Taking care to request greater clarity and to provide it ourselves, are small steps towards big savings of time and energy. Try one or more of these suggested adjustments this week. Set out to create and model new habits wherever you can. 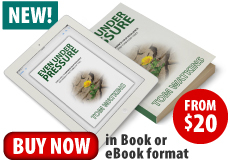 [*] Guidelines for developing attitude management and mindfulness practices to reduce the levels and incidence of destructive conflict, are major themes in my recent book, EVEN UNDER PRESSURE.